It is rare to find someone who walks with both feet in perfect alignment. A foot that is flat or has a very high arch does not necessarily require treatment unless there is pain. Often we walk on the inside or outsides of our feet, or with our toes or heels rotated inward or outward more than they should be. These atypical walking patterns can cause many problems not just with the feet but also for the whole body as the alignment of the feet sets the foundation for the whole body?s alignment. One of the most common effects of improper alignment is known as flatfoot, or pes planus. Treatment of flat feet may be appropriate if there is associated foot or lower leg pain, or if the condition affects the knees or the lower back. Treatment may include using Orthoses such as an arch support, foot gymnastics or other exercises as recommended by a podiatrist/orthotist or physical therapist. In cases of severe flat feet, orthoses should be used through a gradual process to lessen discomfort. Over several weeks, slightly more material is added to the orthosis to raise the arch. These small changes allow the foot structure to adjust gradually, as well as giving the patient time to acclimatise to the sensation of wearing orthoses. Once prescribed, orthoses are generally worn for the rest of the patient's life. In some cases, surgery can provide lasting relief, and even create an arch where none existed before; it should be considered a last resort, as it is usually very time consuming and costly. Faulty feet and ankle structure profoundly affect leg length and pelvic positioning. The most common asymmetrical foot position is the pronated foot. Sensory receptors embedded on the bottom of the foot alert the brain to the slightest weight shift. Since the brain is always trying to maintain pelvic balance, when presented with a long left leg, it attempts to adapt to the altered weight shift by dropping the left medial arch (shortening the long leg) and supinating the right arch to lengthen the short leg.1 Left unchecked, excessive foot pronation will internally rotate the left lower extremity, causing excessive strain to the lateral meniscus and medial collateral knee ligaments. Conversely, excessive supination tends to externally rotate the leg and thigh, creating opposite knee, hip and pelvic distortions. In order to measure for correction, use a series of blocks or sheets of firm material (cork or neoprene) of varying thickness, e.g., 1/8", 1/4", and 1/2". Place them under the short limb, either under the heel or the entire foot, depending on the pathology, until the patient feels most balanced. Usually you will not be able to correct for the full amount of the imbalance at the outset. The longer a patient has had the LLD, the less likely he or she will be able to tolerate a full correction immediately. This is a process of incremental improvements. 2 inch External Platform Lift Bear in mind that the initial lift may need to be augmented as the patient's musculoskeletal system begins to adjust. It is often recommended that the initial buildup should be 50 percent of the total. After a suitable break-in period, one month say, another 25 percent can be added. If warranted, the final 25 percent can be added a month later. Once you determine how much lift the patient can handle, you then need to decide how to best apply it. There are certain advantages and disadvantages to using either internal or external heel lifts. Heel pain is pain in the heel area that can vary in severity and location. It is most common in adults. The heel is the first bone to contact the ground when walking and takes the full force of impact and the resulting shock of bearing weight during motion. The most common complaint is pain and stiffness in the bottom of the heel. Heel pain may be sharp or dull, and it may develop slowly over time or suddenly after intense activity. The pain is typically worse in the morning, when taking your first steps of the day. After standing or sitting for a while. When climbing stairs. Calf stretch, Heel cups/lifts, ice, night splint, physical therapy, activity modification. Sometimes immobilization in a cast or boot may be necessary. Topical creams, such as Voltaren or Ketoprofen, have been found to have some benefit. In some cases, the tendon may become degenerative (tendonosis). In these instances, treatment is more difficult. Prolonged periods of immobilization and physical therapy may be required. 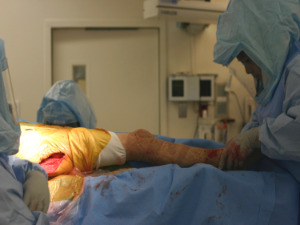 In resistant cases, surgical debridement of the tendon may be necessary. Rarely does a symptomatic achilles tendon rupture. Most achilles ruptures are not associated with prodromal symptoms. Achilles ruptures are more common in men and "weekend warriors," ie middle aged men who like to play sports (soccer, softball, basketball) on the weekends. Morton's neuroma may be the result of irritation, pressure or injury. In some cases its cause is unknown. In the majority of cases only one nerve is affected. Having both feet affected is extremely rare. A high percentage of patients with Morton's neuroma are women who wear high-heeled or narrow shoes. Patients with Morton's neuroma may need to change their footwear, take painkillers or steroid injections, while others may require surgery to either remove the affected nerve or release the pressure on it. The diagnosis of a Morton's neuroma can usually be made by the doctor when the history of pain suggests it and the examination elicits the symptoms. The foot is generally tender when the involved area is compressed and symptoms of pain and sometimes tingling can be elicited when the sides of the foot are squeezed. Magnetic resonance imaging (MRI) or ultrasound testing can be used to confirm the diagnosis if necessary. The ultimate success of a Morton?s neuroma treated surgically is somewhat unclear. This is likely due to the idea that in most instances a ?Morton?s neuroma? is actually more than just an isolated nerve problem but rather consitutes a metatarsalgia where other structures (such a as the MTP joints) are also problematic, not just the nerve. Therefore, addressing the nerve as well as the other components of a metatarsalgia may offer a better chance of surgical success. However, like many conditions in foot and ankle, it is ideal if this condition can be managed without surgery. There are two different kinds of leg length discrepancies, congenital and acquired. Congenital implies that you are born with it. One leg is structurally shorter compared to the other. As a result of developmental stages of aging, the human brain picks up on the walking pattern and identifies some variation. Your body typically adapts by tilting one shoulder over to the "short" side. A difference of less than a quarter inch is not really abnormal, require Shoe Lifts to compensate and usually does not have a profound effect over a lifetime. Leg length inequality goes typically undiagnosed on a daily basis, yet this condition is easily corrected, and can reduce numerous incidents of back discomfort. Therapy for leg length inequality typically involves Shoe Lifts. They are very reasonably priced, generally priced at under twenty dollars, compared to a custom orthotic of $200 or maybe more. Differences over a quarter inch can take their toll on the spine and should probably be compensated for with a heel lift. In some cases, the shortage can be so extreme that it requires a full lift to both the heel and sole of the shoe. Upper back pain is easily the most prevalent health problem affecting people today. Around 80 million people experience back pain at some stage in their life. It's a problem that costs companies vast amounts of money every year on account of lost time and production. Fresh and better treatment methods are continually sought after in the hope of lowering economical influence this issue causes. People from all corners of the earth experience foot ache as a result of leg length discrepancy. In these situations Shoe Lifts might be of beneficial. The lifts are capable of relieving any pain in the feet. Shoe Lifts are recommended by countless experienced orthopaedic doctors. To be able to support the human body in a balanced fashion, feet have a very important function to play. Despite that, it is often the most overlooked area in the human body. Many people have flat-feet meaning there may be unequal force exerted on the feet. This causes other body parts like knees, ankles and backs to be affected too. Shoe Lifts make sure that suitable posture and balance are restored. Heel spurs usually form under the base of the foot or the back of the heel bone. Spurs that develop underneath the foot may visibly protrude through the skin. In addition, plantar fasciitis as well as heel spurs may eventually lead to chronic pain that persists for three or more months, especially if the sides and base of the heel bone have been affected. A large heel spur can affect movement and prevent an individual from walking or even standing properly. If a heel spur begins to protrude excessively, then surgery usually becomes necessary.